I knew what I wanted to do at the age of 16: work with people with dementia. When I started in this field, communities considered gluing macaroni noodles to cans an appropriate activity for people with dementia. We didn’t know any better. My passion began when I started a high school club in my hometown. To be honest, I needed extracurricular activities for my college applications and wanted to start my own thing, to be a leader. So I did—at a local Assisted Living Community. After a few weeks of being there, we were asked to go into the “locked unit” which, unbeknownst to me, was where people with dementia lived. It was quiet aside from the residents who were crying, laughing, or yelling. 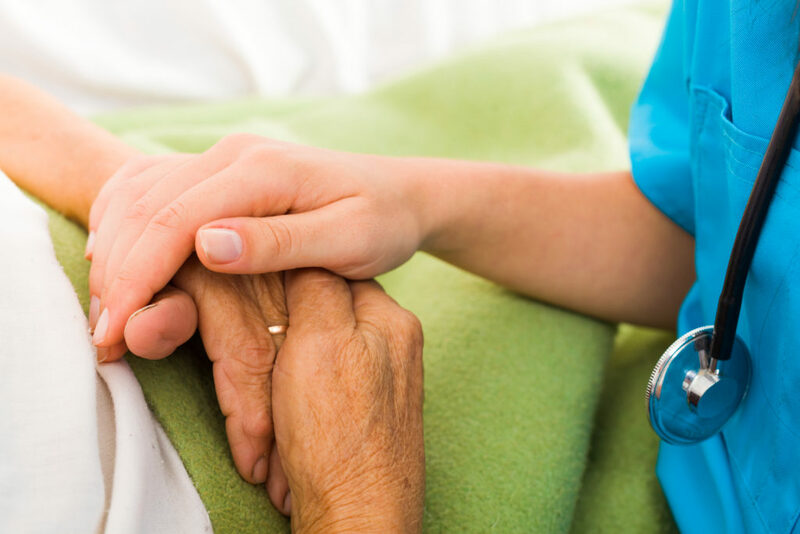 Caregivers seemed exhausted and overwhelmed. My experience at 16 taught me that dementia is not always “sad.” While it is something that we neither control nor fix, we can learn to see it in a different light and live with it more successfully. People with dementia are emotionally expressive: Emotions are the best form of non-verbal communication. Someone with dementia isn’t “Faking” their emotions. Without dementia, we have the ability to put on a happy face despite what we’re feeling. Someone with dementia isn’t doing this so you know how they feel. 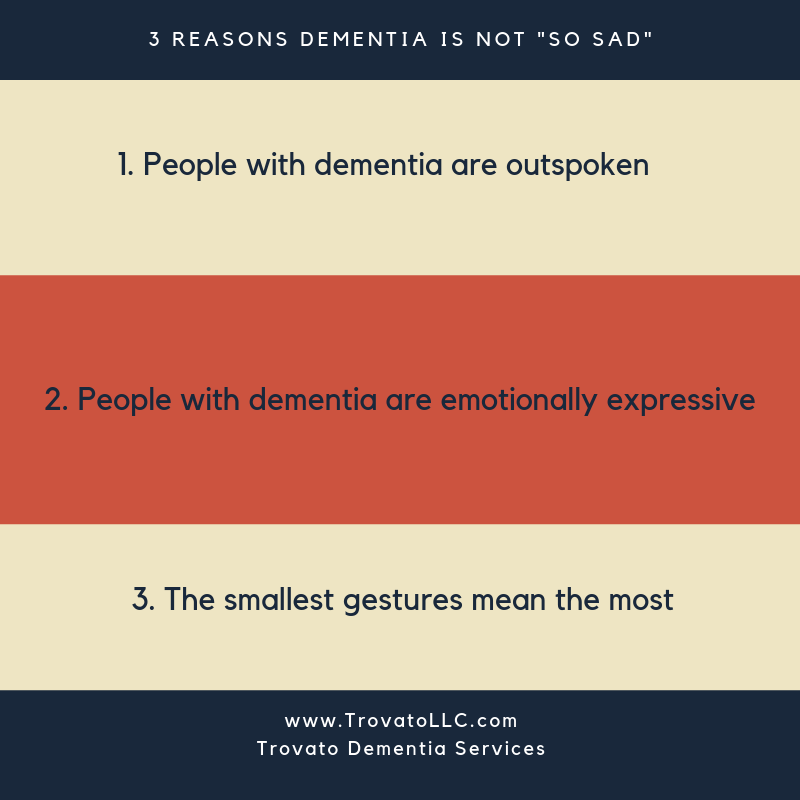 The smallest gestures mean the most: Whether it is a positive or negative gesture, a person with dementia will react. This is great because there are so many small, easy ways to make them smile. No need to buy an expensive gift because time and sentimental items (such as photographs) mean more to a person with dementia. There is a lot of information out there talking about how “sad” dementia is. Try to monitor the information you’re consuming. After you read an article, listen to a podcast, or take advice from someone, you should feel uplifted and hopeful. While I can’t cure dementia for someone, I can help them see positive aspects to live a happier life and meet the disease where they are.